It lasted four centuries since February 1615, when Galileo Galilei wrote an important Letter to Mary Christine of Lorraine, the mother of Cosimo de’ Medici, the Duke of Tuscany, in the court of whom Galileo worked as mathematician and philosopher. This letter is entirely dedicated to the relationship between scientific knowledge and biblical exegesis. In those years, the Italian scientist endorsed the heliocentric Copernican system which, still lacking clearly established physical proofs, was considered by the theological establishment as contrary to sacred Scripture’s teachings. Intuiting troubles and misunderstandings coming soon, by this letter Galileo intended to gain Madame Christina’s protection against Roman opponents to heliocentrism. Galileo’s anxiety became reality on March 3, 1616, when the Holy Office judged heliocentric thesis as theologically erroneous and asked the scientist to hold it only “ex suppositione”, that is, as a mathematical resort having no necessary relationship with the real development of phenomena. The Letter to Mary Christine of Lorrain is a small, precious treatise of biblical exegesis, based on St. Augustine’s doctrine, especially his work De Genesi ad litteram, a letter that Galileo probably wrote not without the help of clergy scholars, friends of him, promoters of Copernican system as well. Since 1615, also thanks to the “Galileo Affair”, science and theology have better acknowledged their proper ambits and roles. However, we cannot exclude that new misunderstandings might rise also in the future. For this reason, Galileo’s Letter remains a hallmark in the history of the relationship between science and theology, a text of the past still inspiring the present. Well, the passage of time has revealed to everyone the truths that I previously set forth; and, together with the truth of the facts, there has come to light the great difference in attitude between those who simply and dispassionately refused to admit the discoveries to be true, and those who combined with their incredulity some reckless passion of their own. Men who were well grounded in astronomical and physical science were persuaded as soon as they received my first message. There were others who denied them or remained in doubt only because of their novel and unexpected character, and because they had not yet had the opportunity to see for themselves. These men have by degrees come to be satisfied. But some, besides allegiance to their original error, possess I know not what fanciful interest in remaining hostile not so much toward the things in question as toward their discoverer. No longer being able to deny them, these men now take refuge in obstinate silence, but being more than ever exasperated by that which has pacified and quieted other men, they divert their thoughts to other fancies and seek new ways to damage me. I should pay no more attention to them than to those who previously contradicted me—at whom I always laugh, being assured of the eventual outcome—were it not that in their new calumnies and persecutions I perceive that they do not stop at proving themselves more learned than I am (a claim which I scarcely contest), but go so far as to cast against me imputations of crimes which must be, and are, more abhorrent to me than death itself. I cannot remain satisfied merely to know that the injustice of this is recognized by those who are acquainted with these men and with me, as perhaps it is not known to others. Persisting in their original resolve to destroy me and everything mine by any means they can think of, these men are aware of my views in astronomy and philosophy. They know that as to the arrangement of the parts of the universe, I hold the sun to be situated motionless in the center of the revolution of the celestial orbs while the earth rotates on its axis and revolves about the sun. They know also that I support this position not only by refuting the arguments of Ptolemy and Aristotle, but by producing many counter-arguments; in particular, some which relate to physical effects whose causes can perhaps be assigned in no other way. In addition there are astronomical arguments derived from many things in my new celestial discoveries that plainly confute the Ptolemaic system while admirably agreeing with and confirming the contrary hypothesis. Possibly because they are disturbed by the known truth of other propositions of mine which differ from those commonly held, and therefore mistrusting their defense so long as they confine themselves to the field of philosophy, these men have resolved to fabricate a shield for their fallacies out of the mantle of pretended religion and the authority of the Bible. These they apply, with little judgment, to the refutation of arguments that they do not understand and have not even listened to. First they have endeavored to spread the opinion that such propositions in general are contrary to the Bible and are consequently damnable and heretical. They know that it is human nature to take up causes whereby a man may oppress his neighbor, no matter how unjustly, rather than those from which a man may receive some just encouragement. Hence they have had no trouble in finding men who would preach the damnability and heresy of the new doctrine from their very pulpits with unwonted confidence, thus doing impious and inconsiderate injury not only to that doctrine and its followers but to all mathematics and mathematicians in general. Next, becoming bolder, and hoping (though vainly) that this seed which first took root in their hypocritical minds would send out branches and ascend to heaven, they began scattering rumors among the people that before long this doctrine would be condemned by the supreme authority. They know, too, that official condemnation would not only suppress the two propositions which I have mentioned, but would render damnable all other astronomical and physical statements and observations that have any necessary relation or connection with these. In order to facilitate their designs, they seek so far as possible (at least among the common people) to make this opinion seem new and to belong to me alone. They pretend not to know that its author, or rather its restorer and confirmer, was Nicholas Copernicus; and that he was not only a Catholic, but a priest and a canon. He was in fact so esteemed by the church that when the Lateran Council under Leo X took up the correction of the church calendar, Copernicus was called to Rome from the most remote parts of Germany to undertake its reform. At that time the calendar was defective because the true measures of the year and the lunar month were not exactly known. 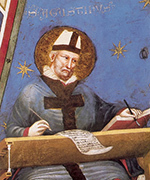 The Bishop of Fossombrone, then in charge of tills matter, assigned Copernicus to seek more light and greater certainty concerning the celestial motions by means of constant study and labor. With Herculean toil he set his admirable mind to this task, and he made such great progress in this science and brought our knowledge of the heavenly mo­tions to such precision that he became celebrated as an astronomer. Since that time not only has the calendar been regulated by his teachings, but tables of all the mo­tions of the planets have been calculated as well. Having reduced his system into six books, he published these at the instance of the Cardinal of Capua (2) and the Bishop of Culm (3). And since he had assumed his laborious enterprise by order of the Supreme Pontiff, he dedicated this book On the celestial revolutions to Pope Paul III. When printed, the book was accepted by the holy Church, and it has been read and studied by everyone without the faintest hint of any objection ever being conceived against its doctrines. Yet now that manifest experiences and necessary proofs have shown them to be well grounded, persons exist who would strip the author of his reward without so much as looking at his book, and add the shame of having him pronounced a heretic. All this they would do merely to satisfy their personal displeasure conceived without any cause against another man, who has no interest in Copernicus beyond approving his teachings. Such are the people who labor to persuade us that an author like Copernicus may be condemned without being read, and who produce various authorities from the Bible, from theologians, and from Church Councils to make us believe that this is not only lawful but commendable. Since I hold these to be of supreme authority, I consider it rank temerity for anyone to contradict them—when employed according to the usage of the holy Church, Yet I do not believe it is wrong to speak out when there is reason to suspect that other men wish, for some personal motive, to produce and employ such authorities for purposes quite different from the sacred intention of the holy Church. Therefore I declare (and my sincerity will make itself manifest) not only that I mean to submit myself freely and renounce any errors into which I may fall in this discourse through ignorance of matters pertaining to religion, but that I do not desire in these matters to engage in disputes with anyone, even on points that are disputable. My goal is this alone; that if, among errors that may abound in these considerations of a subject remote from my profession, there is anything that may be serviceable to the holy Church in making a decision concerning the Copernican system, it may be taken and utilized as seems best to the superiors. And if not, let my book be torn and burnt, as I neither intend nor pretend to gain from it any fruit that is not pious and Catholic. And though many of the things I shall reprove have been heard by my own ears, I shall freely grant to those who have spoken them that they never said them, if that is what they wish, and I shall confess myself to have been mistaken. Hence let whatever I reply be addressed not to them, but to whoever may have held such opinions. The reason produced for condemning the opinion that the earth moves and the sun stands still is that in many places in the Bible one may read that the sun moves and the earth stands still. Since the Bible cannot err, it follows as a necessary consequence that anyone takes an erroneous and heretical position who maintains that the sun is inherently motionless and the earth movable. With regard to this argument, I think in the first place that it is very pious to say and prudent to affirm that the holy Bible can never speak untruth—whenever its true meaning is understood. But I believe nobody will deny that it is often very abstruse, and may say things which are quite different from what its bare words signify. Hence in expounding the Bible if one were always to confine oneself to the unadorned grammatical meaning, one might fall into error. Not only contradictions and propositions far from true might thus be made to appear in the Bible, but even grave heresies and follies. Thus it would be necessary to assign to God feet, hands, and eyes, as well as corporeal and human affections, such as anger, repentance, hatred, and sometimes even the forgetting of things past and ignorance of those to come. These propositions uttered by the Holy Ghost were set down in that manner by the sacred scribes in order to accommodate them to the capacities of the common people, who are rude and unlearned. For the sake of those who deserve to be separated from the herd, it is necessary that wise expositors should produce the true senses of such passages, together with the special reasons for which they were set down in these words. This doctrine is so widespread and so definite with all theologians that it would be superfluous to adduce evidence for it. Hence I think that I may reasonably conclude that whenever the Bible has occasion to speak of any physical conclusion (especially those which are very abstruse and hard to understand), the rule has been observed of avoiding confusion in the minds of the common people which would render them contumacious toward the higher mysteries. Now the Bible, merely to condescend to popular capacity, has not hesitated to obscure some very important pronouncements, attributing to God himself some qualities extremely remote from (and even contrary to) His essence. Who, then, would positively declare that this principle has been set aside, and the Bible has confined itself rigorously to the bare and restricted sense of its words, when speaking but casually of the earth, of water, of the sun, or of any other created thing? Especially in view of the fact that these things in no way concern the primary purpose of the sacred writings, which is the service of God and the salvation of souls—matters infinitely beyond the comprehension of the common people. From this I do not mean to infer that we need not have an extraordinary esteem for the passages of holy Scripture. On the contrary, having arrived at any certainties in physics, we ought to utilize these as the most appropriate aids in the true exposition of the Bible and in the investigation of those meanings which are necessarily contained therein, for these must be concordant with demonstrated truths. I should judge that the authority of the Bible was designed to persuade men of those articles and propositions which, surpassing all human reasoning, could not be made credible by science, or by any other means than through the very mouth of the Holy Spirit. Yet even in those propositions which are not matters of faith, this authority ought to be preferred over that of all human writings which are supported only by bare assertions or probable arguments, and not set forth in a demonstrative way. This I hold to be necessary and proper to the same extent that divine wisdom surpasses all human judgment and conjecture. But I do not feel obliged to believe that that same God who has endowed us with senses, reason, and intellect has intended to forgo their use and by some other means to give us knowledge which we can attain by them. He would not require us to deny sense and reason in physical matters which are set before our eyes and minds by direct experience or necessary demonstrations. This must be especially true in those sciences of which but the faintest trace (and that consisting of conclusions) is to be found in the Bible. Of astronomy, for instance, so little is found that none of the planets except Venus are so much as mentioned, and this only once or twice under the name of “Lucifer.” If the sacred scribes had had any intention of teaching people certain arrangements and motions of the heavenly bodies, or had they wished us to derive such knowledge from the Bible, then in my opinion they would not have spoken of these matters so sparingly in comparison with the infinite number of admirable conclusions which are demonstrated in that science. Far from pretending to teach us the constitution and motions of the heavens and the stars, with their shapes, magnitudes, and distances, the authors of the Bible intentionally forbore to speak of these things, though all were quite well known to them. This granted, and it being true that two truths cannot contradict one another, it is the function of wise expositors to seek out the true senses of scriptural texts. These will unquestionably accord with the physical conclusions which manifest sense and necessary demonstrations have previously made certain to us. Now the Bible, as has been remarked, admits in many places expositions that are remote from the signification of the words for reasons we have already given. Moreover, we are unable to affirm that all interpreters of the Bible speak by divine inspiration, for if that were so there would exist no differences between them about the sense of a given passage. Hence I should think it would be the part of prudence not to permit anyone to usurp scriptural texts and force them in some way to maintain any physical conclusion to be true, when at some future time the senses and demonstrative or necessary reasons may show the contrary. Who indeed will set bounds to human ingenuity? Who will assert that everything in the universe capable of being perceived is already discovered and known? Let us rather confess quite truly that “Those truths which we know are very few in comparison with those which we do not know.” We have it from the very mouth of the Holy Ghost that God delivered up the world to disputations, so that man cannot find out the work that God hath done from the beginning even to the end. (11) In my opinion no one, in contradiction to that dictum, should close the road to free philosophizing about mundane and physical things, as if everything had already been discovered and revealed with certainty. Nor should it be considered rash not to be satis­fied with those opinions which have become common. No one should be scorned in physical disputes for not holding to the opinions which happen to please other people best, especially concerning problems which have been debated among the greatest philosophers for thousands of years. One of these is the stability of the sun and mobility of the earth, a doctrine believed by Pythagoras and all his followers, by Heracleides of Pontus (12) (who was one of them), by Philolaus the teacher of Plato, (13) and by Plato himself according to Aristotle, Plutarch writes in his Life of Numa that Plato, when he had grown old, said it was most absurd to believe otherwise. (14) The same doctrine was held by Aristarchus of Samos, (15) as Archimedes tells us; by Seleucus (16) the mathematician, by Nicetas (17) the philosopher (on the testimony of Cicero), and by many others. Finally this opinion has been amplified and confirmed with many observations and demonstrations by Nicholas Copernicus. And Seneca, (18) a most eminent philosopher, advises us in his book on comets that we should more diligently seek to ascertain whether it is in the sky or in the earth that the diurnal rotation resides. Hence it would probably be wise and useful counsel if, beyond articles which concern salvation and the establishment of our Faith, against the stability of which there is no danger whatever that any valid and effective doctrine can ever arise, men would not aggregate further articles unnecessarily, And it would certainly be preposterous to introduce them at the request of persons who, besides not being known to speak by inspiration of divine grace, are clearly seen to lack that understanding which is necessary in order to comprehend, let alone discuss, the demonstrations by which such conclusions are supported in the subtler sciences. If I may speak my opinion freely, I should say further that it would perhaps fit in better with the decorum and majesty of the sacred writings to take measures for preventing every shallow and vulgar writer from giving to his compositions (often grounded upon foolish fancies) an air of authority by inserting in them passages from the Bible, interpreted (or rather distorted) into senses as far from the right meaning of Scripture as those authors are near to absurdity who thus ostentatiously adorn their writings. Of such abuses many examples might be produced, but for the present I shall confine myself to two which are germane to these astronomical matters. The first concerns those writings which were published against the existence of the Medicean planets recently discovered by me, in which many passages of holy Scripture were cited. (19) Now that everyone has seen these planets, I should like to know what new interpretations those same antagonists employ in expounding the Scripture and excusing their own simplicity. My other example is that of a man who has lately published, in defiance of astronomers and philosophers, the opinion that the moon does not receive its light from the sun but is brilliant by its own nature. (20) He supports this fancy (or rather thinks he does) by sundry texts of Scripture which he believes cannot be explained unless his theory is true; yet that the moon is inherently dark is surely as plain as daylight. I do not wish to place in the number of such lay writers some theologians whom I consider men of profound learning and devout behavior, and who are therefore held by me in great esteem and veneration. Yet I cannot deny that I feel some discomfort which I should like to have removed, when I hear them pretend to the power of constraining others by scriptural authority to follow in a physical dispute that opinion which they think best agrees with the Bible, and then believe themselves not bound to answer the opposing reasons and experiences. In explanation and support of this opinion they say that since theology is queen of all the sciences, she need not bend in any way to accommodate herself to the teachings of less worthy sciences which are subordinate to her; these others must rather be referred to her as to their supreme empress, changing and altering their conclusions according to her statutes and decrees. They add further that if in the inferior sciences any con­clusion should be taken as certain in virtue of demonstrations or experiences, while in the Bible another conclusion is found repugnant to this, then the professors of that science should themselves undertake to undo their proofs and discover the fallacies in their own experiences, without bothering the theologians and exegetes. For, they say, it does not become the dignity of theology to stoop to the investigation of fallacies in the subordinate sciences; it is sufficient for her merely to determine the truth of a given conclusion with absolute authority, secure in her inability to err. Now the physical conclusions in which they say we ought to be satisfied by Scripture, without glossing or expounding it in senses different from the literal, are those concerning which the Bible always speaks in the same manner and which the holy Fathers all receive and expound in the same way. But with regard to these judgments I have had occasion to consider several things, and I shall set them forth in order that I may be corrected by those who understand more than I do in these matters—for to their decisions I submit at all times. First, I question whether there is not some equivocation in failing to specify the virtues which entitle sacred theology to the title of “queen.” It might deserve that name by reason of including everything that is learned from all the other sciences and establishing everything by better methods and with profounder learning. It is thus, for example, that the rules for measuring fields and keeping accounts are much more excellently contained in arithmetic and in the geometry of Euclid than in the practices of surveyors and accountants. Or theology might be queen because of being occupied with a subject which excels in dignity all the subjects which compose the other sciences, and because her teachings are divulged in more sublime ways. That the title and authority of queen belongs to theology in the first sense, I think will not be affirmed by theologians who have any skill in the other sciences. None of these, I think, will say that geometry, astronomy, music, and medicine are much more excellently contained in the Bible than they are in the books of Archimedes, Ptolemy, Boethius, and Galen. Hence it seems likely that regal preeminence is given to theology in the second sense; that is, by reason of its subject and the miraculous communication of divine revelation of conclusions which could not be conceived by men in any other way, concerning chiefly the attainment of eternal blessedness. Let us grant then that theology is conversant with the loftiest divine contemplation, and occupies the regal throne among sciences by dignity. But acquiring the highest authority in this way, if she does not descend to the lower and humbler speculations of the subordinate sciences and has no regard for them because they are not concerned with blessedness, then her professors should not arrogate to themselves the authority to decide on controversies in professions which they have neither studied nor practiced. Why, this would be as if an absolute despot, being neither a physician nor an architect but knowing himself free to command, should undertake to administer medicines and erect buildings according to his whim—at grave peril of his poor patients' lives, and the speedy collapse of his edifices. Again, to command that the very professors of astronomy themselves see to the refutation of their own observations and proofs as mere fallacies and sophisms is to enjoin something that lies beyond any possibility of accomplishment. For this would amount to commanding that they must not see what they see and must not understand what they know, and that in searching they must find the opposite of what they actually encounter. Before this could be done they would have to be taught how to make one mental faculty command another, and the inferior powers the superior, so that the imagination and the will might be forced to believe the opposite of what the intellect understands. I am referring at all times to merely physical propositions, and not lo supernatural things which are matters of faith. From the above words I conceive that I may deduce this doctrine: That in the books of the sages of this world there are contained some physical truths which are soundly demonstrated, and others that are merely stated; as to the former, it is the office of wise divines to show that they do not contradict the holy Scriptures. And as to the propositions which are stated but not rigorously demonstrated, anything contrary to the Bible involved by them must be held undoubtedly false and should be proved so by every possible means. Now if truly demonstrated physical conclusions need not be subordinated to biblical passages, but the latter must rather be shown not to interfere with the former, then before a physical proposition is condemned it must be shown to be not rigorously demonstrated—and this is to be done not by those who hold the proposition to be true, but by those who judge it to be false. This seems very reasonable and natural, for those who believe an argument to be false may much more easily find the fallacies in it than men who consider it to be true and conclusive. Indeed, in the latter case it will happen that the more the adherents of an opin­ion turn over their pages, examine the arguments, repeat the observations, and compare the experiences, the more they will be confirmed in that belief. And Your Highness, knows what happened to the late mathematician of the University of Pisa (23) who undertook in his old age to look into the Copernican doctrine in the hope of shaking its foundations and refuting it, since he considered it false only because he had never studied it. As it fell out, no sooner had he understood its grounds, procedures, and demonstrations than he found himself persuaded, and from an opponent he became a very staunch defender of it. I might also name other mathematicians (24) who, moved by my latest discoveries, have confessed it necessary to alter the previously accepted system of the world, as this is simply unable to subsist any longer. If in order to banish the opinion in question from the world it were sufficient to stop the mouth of a single man—as perhaps those men persuade themselves who, measuring the minds of others by their own, think it impossible that this doctrine should be able to continue to find adherents—then that would be very easily done. But things stand otherwise. To carry out such a decision it would be necessary not only to prohibit the book of Copernicus and the writings of other authors who follow the same opinion, but to ban the whole science of astronomy. Furthermore, it would be necessary to forbid men to look at the heavens, in order that they might not see Mars and Venus sometimes quite near the earth and sometimes very distant, the variation being so great that Venus is forty times and Mars sixty times as large at one time as another. And it would be necessary to prevent Venus being seen round at one time and forked at another, with very thin horns; as well as many other sensory observations which can never be reconciled with the Ptolemaic system in any way, but are very strong arguments for the Copernican. And to ban Copernicus now that his doctrine is daily reinforced by many new observations and by the learned applying themselves to the reading of his book, after this opinion has been allowed and tolerated for those many years during which it was less followed and less confirmed, would seem in my judgment to be a contravention of truth, and an attempt to hide and suppress her the more as she revealed herself the more clearly and plainly. Not to abolish and censure his whole book, but only to condemn as erroneous this particular proposition, would (if I am not mistaken) be a still greater detriment to the minds of men, since it would afford them occasion to see a proposition proved that it was heresy to believe. And to prohibit the whole science would be but to censure a hundred passages of holy Scripture which teach us that the glory and greatness of Almighty God are marvelously discerned in all his works and divinely read in the open book of heaven. For let no one believe that reading the lofty concepts written in that book leads to nothing further than the mere seeing of the splendor of the sun and the stars and their rising and setting, which is as far as the eyes of brutes and of the vulgar can penetrate. Within its pages are couched mysteries so profound and concepts so sublime that the vigils, labors, and studies of hundreds upon hundreds of the most acute minds have still not pierced them, even after continual investigations for thousands of years. The eyes of an idiot perceive little by beholding the external appearance of a human body, as compared with the wonderful contrivances which a careful and practiced anatomist or philosopher discovers in that same body when he seeks out the use of all those muscles, tendons, nerves, and bones; or when examining the functions of the heart and the other principal organs, he seeks the seat of the vital faculties, notes and observes the admirable structure of the sense organs, and (without ever ceasing in his amazement and delight) contemplates the receptacles of the imagination, the memory, and the understanding. Likewise, that which presents itself to mere sight is as nothing in comparison with the high marvels that the ingenuity of learned men discovers in the heavens by long and accurate observation. And that concludes what I have to say on this matter. From this and other passages the intention of the holy Fathers appears to be (if I am not mistaken) that in questions of nature which are not matters of faith it is first to be considered whether anything is demonstrated beyond doubt or known by sense-experience, or whether such knowledge or proof is possible; if it is, then, being the gift of God, it ought to be applied to find out the true senses of holy Scripture in those passages which superficially might seem to declare differently. These senses would unquestionably be discovered by wise theologians, together with the reasons for which the Holy Ghost sometimes wished to veil itself under words of different meaning, whether for our exercise, or for some purpose unknown to me. As to the other point, if we consider the primary aim of the Bible, I do not think that its having always spoken in the same sense need disturb this rule. If the Bible, accommodating itself to the capacity of the common people, has on one occasion expressed a proposition in words of different sense from the essence of that proposition, then why might it not have done the same, and for the same reason, whenever the same thing happened to be spoken of? Nay, to me it seems that not to have done this would but have increased confusion and diminished belief among the people. Regarding the state of rest or motion of the sun and earth, experience plainly proves that in order to accommodate the common people it was necessary to assert of these things precisely what the words of the Bible convey. Even in our own age, people far less primitive continue to maintain the same opinion for reasons which will be found extremely trivial if well weighed and examined, and upon the basis of experiences that are wholly false or altogether beside the point. Nor is it worth while to try to change their opinion, they being unable to understand the arguments on the opposite side, for these depend upon observations too precise and demonstrations too subtle, grounded on abstractions which require too strong an imagination to be comprehended by them. Hence even if the stability of heaven and the motion of the earth should be more than certain in the minds of the wise, it would still be necessary to assert the contrary for the preservation of belief among the all-too-numerous vulgar. Among a thousand ordinary men who might be questioned concerning these things, probably not a single one will be found to answer anything except that it looks to him as if the sun moves and the earth stands still, and therefore he believes this to be certain. But one need not on that account take the common popular assent as an argument for the truth of what is stated; for if we should examine these very men concerning their reasons for what they believe, and on the other hand listen to the experiences and proofs which induce a few others to believe the contrary, we should find the latter to be persuaded by very sound arguments, and the former by simple appearances and vain or ridiculous impressions. It is sufficiently obvious that to attribute motion to the sun and rest to the earth was therefore necessary lest the shallow minds of the common people should become confused, obstinate, and contumacious in yielding assent to the principal articles that are absolutely matters of faith. And if this was necessary, there is no wonder at all that it was carried out with great prudence in the holy Bible. I shall say further that not only respect for the incapacity of the vulgar, but also current opinion in those times, made the sacred authors accommodate themselves (in matters unnecessary to salvation) more to accepted usage than to the true essence of things. Speaking of this, St. Jerome writes: “As if many things were not spoken in the Holy Bible according to the judgment of those times in which they were acted, rather than according to the truth contained.” (27) And elsewhere the same saint says: “It is the custom for the biblical scribes to deliver their judgments in many things according to the commonly received opinion of their times.” (28) And on the words in the twenty-sixth chapter of Job, He stretcheth out the north over the void, and hangeth the earth above nothing , (29) St. Thomas Aquinas notes that the Bible calls “void” or “nothing” that space which we know to be not empty, but filled with air. Nevertheless the Bible, he says, in order to accommodate itself to the beliefs of the common people (who think there is nothing in that space), calls it “void” and “nothing.” Here are the words of St. Thomas : “What appears to us in the upper hemisphere of the heavens to be empty, and not a space filled with air, the common people regard as void; and it is usually spoken of in the holy Bible according to the ideas of the common people.” (30) Now from this passage I think one may very logically argue that for the same reason the Bible had still more cause to call the sun movable and the earth immovable. For if we were to test the capacity of the common people, we should find them even less apt to be persuaded of the stability of the sun and the motion of the earth than to believe that the space which environs the earth is filled with air. And if on this point it would not have been difficult to convince the common people, and yet the holy scribes forbore to attempt it, then it certainly must appear reasonable that in other and more abstruse propositions they have followed the same policy. Copernicus himself knew the power over our ideas that is exerted by custom and by our inveterate way of conceiving things since infancy. Hence, in order not to increase for us the confusion and difficulty of abstraction, after he had first demonstrated that the motions which appear to us to belong to the sun or to the firmament are really not there but in the earth, he went on calling them motions of the sun and of the heavens when he later constructed his tables to apply them to use. He thus speaks of “sunrise” and “sunset,” of the “rising and setting” of the stars, of changes in the obliquity of the ecliptic and of variations in the equinoctial points, of the mean motion and variations in motion of the sun, and so on. All these things really relate to the earth, but since we are fixed to the earth and consequently share in its every motion, we cannot discover them in the earth directly, and are obliged to refer them to the heavenly bodies in which they make their appearance to us. Hence we name them as if they took place where they appear to us to take place; and from this one may see how natural it is to accommodate things to our customary way of seeing them. Next we come to the proposition that agreement on the part of the Fathers, when they all accept a physical proposition from the Bible in the same sense, must give that sense authority to such a degree that belief in it becomes a matter of faith. I think this should be granted at most only of those propositions which have actually been discussed by the Fathers with great diligence, and debated on both sides, with them all finally concurring in the censure of one side and the adoption of the other. But the motion of the earth and stability of the sun is not an opinion of that kind, inasmuch as it was completely hidden in those times and was far removed from the questions of the schools; it was not even considered, much less adhered to, by anyone. Hence we may believe that it never so much as entered the thoughts of the Fathers to debate this. Bible texts, their own opinions, and the agreement of all men concurred in one belief, without meeting contradiction from anyone. Hence it is not sufficient to say that because all the Fathers admitted the stability of the earth, this is a matter of faith; one would have to prove also that they had condemned the contrary opinion. And I may go on to say that they left this out because they had no occasion to reflect upon the matter and discuss it; their opinion was admitted only as current, and not as analyzed and determined. I think I have, very good reason for saying this. Either the Fathers reflected upon this conclusion as controversial, or they did not; if not, then they cannot have decided anything about it even in their own minds, and their incognizance of it does not oblige us to accept teaching which they never imposed, even in intention. But if they had reflected upon and considered it, and if they judged it to be erroneous, then they would long ago have condemned it; and this they are not found to have done. Indeed, some theologians have but now begun to consider it, and they are not seen to deem it erroneous. Thus in the Commentaries on Job of Didacus à Stunica, where the author comments upon the words Who moveth the earth from its place… , (31) he discourses at length upon the Copernican opinion and concludes that the mobility of the earth is not contrary to Scripture. Yet even if we resolved to condemn or admit physical propositions according to scriptural passages uniformity expounded in the same sense by all the Fathers, I still fail to see how that rule can apply in the present case, inasmuch as diverse expositions of the same passage occur among the Fathers. Dionysius the Areopagite says that it is the primum mobile (33) which stood still, not the sun. (34) St. Augustine is of the same opinion; that is, that all celestial bodies would be stopped; and the Bishop of Avila concurs. (35) What is more, among the Jewish authors endorsed by Josephus, (36) some held that the sun did not really stand still, but that it merely appeared to do so by reason of the shortness of the time during which the Israelites administered defeat to their enemies. (Similarly, with regard to the miracle in the time of Hezekiah, Paul of Burgos was of the opinion that this took place not in the sun but on the sundial.) (37) And as a matter of fact no matter what system of the universe we assume, it is still necessary to gloss and interpret the words in the text of Joshua, as I shall presently show. But finally let us grant to these gentlemen even more than they demand; namely, let us admit that we must subscribe entirely to the opinion of wise theologians. Then, since this particular dispute does not occur among the ancient Fathers, it must be undertaken by the wise men of this age. After first hearing the experiences, observations, arguments, and proofs of philosophers and astronomers on both sides—for the controversy is over physical problems and logical dilemmas, and admits of no third alternative —they will be able to determine the matter positively, in accordance with the dictates of divine inspiration. But as to those men who do not scruple to hazard the majesty and dignity of holy Scripture to uphold the reputation of their own vain fancies, let them not hope that a decision such as this is to be made without minutely airing and discussing all the arguments on both sides. Nor need we fear this from men who will make it their whole business to examine most attentively the very foundations of this doctrine, and who will do so only in a holy zeal for the truth, the Bible, and the majesty, dignity, and authority in which every Christian wants to see these maintained. Anyone can see that dignity is most desired and best secured by those who submit themselves absolutely to the holy Church and do not demand that one opinion or another be prohibited, but merely ask the right to propose things for consideration which may the better guarantee the soundest decision—not by those who, driven by personal interest or stimulated by malicious hints, preach that the Church should flash her sword without delay simply because she has the power to do so. Such men fail to realize that it is not always profitable to do everything that lies within one's power. The most holy Fathers did not share their views. They knew how prejudicial (and how contrary to the primary intention of the Catholic Church) it would be to use scriptural passages for deciding physical conclusions, when either experiments or logical proofs might in time show the contrary of what the literal sense of the words signifies. Hence they not only proceeded with great circumspection, but they left the following precepts for the guidance of others: “In points that are obscure, or far from clear, if we should read anything in the Bible that may allow of several constructions consistently with the faith to be taught, let us not commit ourselves to any one of these with such precipitous obstinacy that when, perhaps, the truth is more diligently searched into, this may fall to the ground, and we with it. Then we would indeed be seen to have contended not for the sense of divine Scripture, but for our own ideas by wanting something of ours to be the sense of Scripture when we should rather want the meaning of Scripture to be ours.” (38) And later it is added, to teach us that no proposition can be contrary to the faith unless it has first been proven to be false: “A thing is not forever contrary to the faith until disproved by most certain truth. When that happens, it was not holy Scripture that ever affirmed it, but human ignorance that imagined it.” From this it is seen that the interpretation which we impose upon passages of Scripture would be false whenever it disagreed with demonstrated truths. And therefore we should seek the incontrovertible sense of the Bible with the assistance of demonstrated truth, and not in any way try to force the hand of Nature or deny experiences and rigorous proofs in accordance with the mere sound of words that may appeal to our frailty. It seems to me that we may number among such men those who, being either unable or unwilling to comprehend the experiences and proofs used in support of the new doc­trine by its author and his followers, nevertheless expect to bring the Scriptures to bear on it. They do not consider that the more they cite these, and the more they insist that they are perfectly clear and admit of no other interpretations than those which they put on them, the more they prejudice the dignity of the Bible—or would, if their opinion counted for anything—in the event that later truth shows the contrary and thus creates confusion among those outside the holy Church. And of these she is very solicitous, like a mother desiring to recover her children into her lap. Your Highness may thus see how irregularly those persons proceed who in physical disputes arrange scriptural passages (and often those ill-understood by them) in the front rank of their arguments. If these men really believe themselves to have the true sense of a given passage, it necessarily follows that they believe they have in hand the absolute truth of the conclusion they intend to debate. Hence they must know that they enjoy a great advantage over their opponents, whose lot it is to defend the false position; and he who maintains the truth will have many sense-experiences and rigorous proofs on his side, whereas his antagonist cannot make use of anything but illusory appearances, quibbles, and fallacies. Now if these men know they have such advantages over the enemy even when they stay within proper bounds and produce no weapons other than those proper to philosophy, why do they, in the thick of battle, betake themselves to a dreadful weapon which cannot be turned aside, and seek to vanquish the opponent by merely exhibiting it? If I may speak frankly, I believe they have themselves been vanquished, and, feeling unable to stand up against the assaults of the adversary, they seek ways of holding him of. To that end they would forbid him the use of reason, divine gift of Providence , and would abuse the just authority of holy Scripture—which, in the general opinion of theologians, can never oppose manifest experiences and necessary demonstrations when rightly understood and applied. If I am correct, it will stand them in no stead to go running to the Bible to cover up their inability to understand (let alone resolve) their opponents' arguments, for the opinion which they fight has never been condemned by the holy Church. If they wish to proceed in sincerity, they should by silence confess themselves unable to deal with such matters. Let them freely admit that although they may argue that a position is false, it is not in their power to censure a position as erroneous— or in the power of anyone except the Supreme Pontiff, or the Church Councils. Reflecting upon this, and knowing that a proposition cannot be both true and heretical, let them employ themselves in the business which is proper to them; namely, demonstrating its falsity. And when that is revealed, either there will no longer be any necessity to prohibit it (since it will have no followers), or else it may safely be prohibited without the risk of any scandal. Therefore let these men begin to apply themselves to an examination of the arguments of Copernicus and others, leaving condemnation of the doctrine as erroneous and heretical to the proper authorities. Among the circumspect and most wise Fathers, and in the absolute wisdom of one who cannot err, they may never hope to find the rash decisions into which they allow themselves to be hurried by some particular passion or personal interest. With regard to this opinion, and others which are not directly matters of faith, certainly no one doubts that the Supreme Pontiff has always an absolute power to approve or condemn; but it is not in the power of any created being to make things true or false, for this belongs to their own nature and to the fact. Therefore in my judgment one should first be assured of the necessary and immutable truth of the fact, over which no man has power. This is wiser counsel than to condemn either side in the absence of such certainty, thus depriving oneself of continued authority and ability to choose by determining things which are now undetermined and open and still lodged in the will of supreme authority. And in brief, if it is impossible for a conclusion to be declared heretical while we remain in doubt as to its truth, then these men are wasting their time clamoring for condemnation of the motion of the earth and stability of the sun, which they have not yet demonstrated to be impossible or false. Now let us consider the extent to which it is true that the famous passage in Joshua may be accepted without altering the literal meaning of its words, and under what conditions the day might be greatly lengthened by obedience of the sun to Joshua's command that it stand still. If the celestial motions are taken according to the Ptolemaic system, this could never happen at all. For the movement of the sun through the ecliptic is from west to east, and hence it is opposite to the movement of the primum mobile, which in that system causes day and night. Therefore it is obvious that if the sun should cease its own proper motion, the day would become shorter, and not longer. The way to lengthen the day would be to speed up the sun's proper motion; and to cause the sun to remain above the horizon for some time in one place without declining towards the west, it would be necessary to hasten this motion until it was equal to that of the primum mobile. This would amount to accelerating the customary speed of the sun about three hundred sixty times. Therefore if Joshua had intended his words to be taken in their pure and proper sense, he would have ordered the sun to accelerate its own motion in such a way that the impulse from the primum mobile would not carry it westward. But since his words were to be heard by people who very likely knew nothing of any celestial motions beyond the great general movement from east to west, he stooped to their capacity and spoke according to their understanding, as he had no intention of teaching them the arrangement of the spheres, but merely of having them perceive the greatness of the miracle. Possibly it was this consideration that first moved Dionysius the Areopagite to say that in this miracle it was the primum mobile that stood still, and that when this halted, all the celestial spheres stopped as a consequence —an opinion held by St. Augustine himself, and confirmed in detail by the Bishop of Avila. And indeed Joshua did intend the whole system of celestial spheres to stand still, as may be deduced from his simultaneous command to the moon, which had nothing to do with lengthening the day. And under his command to the moon we are to understand the other planets as well, though they are passed over in silence here as elsewhere in the Bible, which was not written to teach us astronomy. It therefore seems very clear to me that if we were to accept the Ptolemaic system it would be necessary to interpret the words in some sense different from their strict meaning. Admonished by the useful precepts of St. Augustine , I shall not affirm this to be necessarily the above sense, as someone else may think of another that is more proper and harmonious. But I wish to consider next whether this very event may not be understood more consistently with what we read in the Book of Joshua in terms of the Copernican system, adding a further observation recently pointed out by me in the body of the sun. Yet I speak always with caution and reserve, and not with such great affection for my own inventions as to prefer them above those of others, or in the belief that nothing can be brought forth that will be still more in conformity with the intention of the Bible. Suppose, then, that in the miracle of Joshua the whole system of celestial rotations stood still, in accordance with the opinion of the authors named above. Now in order that all the arrangements should not be disturbed by stopping only a single celestial body, introducing great disorder throughout the whole of Nature, I shall next assume that the sun, though fixed in one place, nevertheless revolves upon its own axis, making a complete revolution in about a month, as I believe is conclusively proven in my Letters on Sunspots. With our own eyes we see this movement to be slanted toward the south in the more remote part of the sun's globe, and in the nearer part to tilt toward the north, in just the same manner as all the revolutions of the planets occur. Third, if we consider the nobility of the sun, and the fact that it is the font of light which (as I shall conclusively prove) illuminates not only the moon and the earth but all the other planets, which are inherently dark, then I believe that it will not be entirely unphilosophical to say that the sun, as the chief minister of Nature and in a certain sense the heart and soul of the universe, infuses by its own rotation not only light but also motion into other bodies which surround it. And just as if the motion of the heart should cease in an animal, all other motions of its members would also cease, so if the rotation of the sun were to stop, the rotations of all the planets would stop too. And though I could produce the testimonies of many grave authors to prove the admirable power and energy of the sun, I shall content myself with a single passage from the blessed Dionysius the Areopagite in his book Of the Divine Name, (39) who writes thus of the sun: “His light gathers and converts to himself all things which are seen, moved, lighted, or heated; and in a word all things which are preserved by his splendor. For this reason the sun is called HELIOS, because he collects and gathers all dispersed things.” And shortly thereafter he says: “This sun which we see remains one, and despite the variety of essences and qualities of things which fall under our senses, he bestows his light equally on them, and renews, nourishes, defends, perfects, divides, conjoins, cherishes, makes fruitful, increases, changes, fixes, produces, moves, and fashions all living creatures. Everything in this universe partakes of one and the same sun by His will, and the causes of many things which are shared from him are equally anticipated in him. And for so much the more reason,” and so on. The sun, then, being the font of light and the source of motion, when God willed that at Joshua's command the whole system of the world should rest and should remain for many hours in the same state, it sufficed to make the sun stand still. Upon its stopping all the other revolutions ceased; the earth, the moon, and the sun remained in the same arrangement as before, as did all the planets; nor in all that time did day decline towards night, for day was miraculously prolonged. And in this manner, by the stopping of the sun, without altering or in the least disturbing the other aspects and mutual positions of the stars, the day could be lengthened on earth—which agrees exquisitely with the literal sense of the sacred text. But if I am not mistaken, something of which we are to take no small account is that by the aid of this Copernican system we have the literal, open, and easy sense of another statement that we read in this same miracle, that the sun stood still in the midst of the heavens. (40) Grave theologians raise a question about this passage, for it seems very likely that when Joshua requested the lengthening of the day, the sun was near setting and not at the meridian. If the sun had been at the meridian, it seems improbable that it was necessary to pray for a lengthened day in order to pursue victory in battle, the miracle having occurred around the summer solstice when the days are longest, and the space of seven hours remaining before nightfall being sufficient. Thus grave divines have actually held that the sun was near setting, and indeed the words themselves seem to say so; Sun, stand thou still, stand thou still . (41) For if it had been near the meridian, either it would have been needless to request a miracle, or it would have been sufficient merely to have prayed for some retardation. Cajetan (42) is of this opinion, to which Magellan (43) subscribes, confirming it with the remark that Joshua had already done too many things that day before commanding the sun to stand still for him to have done them in half a day. Hence they are forced to interpret the words in the midst of the heavens a little knottily, saying that this means no more than that the sun stood still while it was in our hemisphere; that is, above our horizon. But unless I am mistaken we may avoid this and all other knots if, in agreement with the Copernican system, we place the sun in the “midst”—that is, in the center—of the celestial orbs and planetary rotations, as it is most necessary to do. Then take any hour of the day, either noon, or any hour as close to evening as you please, and the day would be lengthened and all the celestial revolutions stopped by the sun's standing still in the midst of the heavens; that is, in the center, where it resides. This sense is much better accommodated to the words, quite apart from what has already been said; for if the desired statement was that the sun was stopped at midday, the proper expression would have been that it “stood still at noonday,” or “in the meridian circle,” and not “in the midst of the heavens.” For the true and only “midst” of a spherical body such as the sky is its center. And they could say that the name “firmament” agrees literally quite well with the starry sphere and all that lies beyond the revolutions of the planets, which according to this arrangement is quite firm and immovable. Again, with the earth turning, they might think of its poles when they read He had not yet made the earth, the rivers, and the hinges of the terrestrial orb, (45) for hinges would seem to be ascribed in vain to the earth unless it needed them to turn upon. (4) Copernicus, De Revolutionibus (Nuremberg, 1543), f. iiii. (5) Adversus Marcionem, I, 18. (8) A marginal note by Galileo assigns this epigram to Cardinal Baronius (1538-1607). Baronius visited Padua with Cardinal Bellarmine in 1598, and Galileo probably met him at that time. (9) Pererius on Genesis, near the beginning. (10) In the seventh letter to Marcellinus. (12) Heracleides was born about 390 b.c. and is said to have attended lectures by Aristotle at Athens . He believed that the earth rotated on its axis, but not that it moved around the sun. He also discovered that Mercury and Venus revolve around the sun, and may have developed a system similar to that of Tycho. (13) Philolaus, an early follower of Pythagoras, flourished at Thebes toward the end of the fifth century b.c. Although a contemporary of Socrates, the teacher of Plato, he had nothing to do with Plato's instruction. According to Philolaus the earth revolved around a central Fire, but not about the sun. (14) “Plato held opinion in that age, that the earth was in another place than in the very middest, and that the centre of the world, as the most honourable place, did appertain to some other of more worthy substance than the earth.” (Trans. Sir Thomas North.) This tradition is no longer accepted. (15) Aristarchus (ca. 310-230 ) was the true forerunner of Copernicus in antiquity, and not the Pythagoreans as was generally believed in Gali1eo's time. (16) Seleucus, who flourished about 150 B.C., is the only ancient astronomer known to have adopted the heliocentric system of Aristarchus. After his time this gave way entirely to the system founded by his contemporary Hipparchus. (17) Nicetas is an incorrect form given by Copernicus to the name of Hicetas of Syracuse. Of this mathematician nothing is known beyond the fact that some of the ancients credited him instead of Philolaus with the astronomy which came to be associated with the Pythagoreans in general. (18) Seneca (ca. 3- 65) was the tutor of Nero. He devoted the seventh book of his Quaestiones Naturales to comets. In the second chapter of this book he raised the question of the earth's rotation, and in the final chapters he appealed for patience and further investigation into such matters. (19) The principal book which had offended in this regard was the Dianoia Astronomica … of Francesco Sizzi (Venice, 1611). About the time Galileo arrived at Florence , Sizzi departed for Franco, where he came into association with some good mathematicians. In 1613 he wrote to a friend at Rome to express his admiration of Galileo's work on floating bodies and to deride its opponents. The letter was forwarded to Galileo. In it Sizzi had reported, though rather cryptically, upon some French observations concerning sunspots, and it was probably this which led Galileo to his knowledge of the tilt of the sun's axis. Sizzi was broken on the wheel in 1617 for writing a pamphlet against the king of France . (20) This is frequently said to refer to C. Lagalla's De phaenominis in orbe lunae . . . ( Venice , 1612), a wretched book which has the sole distinction of being the first to mention the word “telescope” in print. A more probable reference, however, seems to be to the Dialogo di Fr. Ulisse Albergotti . . . nel quale si tiene . . . la Luna esser da sé luminosa . . . (Viterbo, 1613). (21) Epistola ad Paulinum, 103. (22) De Genesi ad litteram I, 21. (23) Antonio Santucci (d. 1613). (24) A marginal note by Galileo here mentions Father Clavius. (25) Psalms 103:2 (Douay); 104:2 (King James). (26) De Genesi ad literam [ ii ,] 9. (28) On Matthew, ch. 13. (31) Job 9:6. The commentary was that of Didacus à Stunica, published at Toledo in 1584. (33) The outermost crystalline sphere was known as the primum mobile, or prime mover, and was supposed to complete each revolution in twenty-four hours, causing light and day. A part of its motion was imagined to be transmitted to each inner sphere, sweeping along the fixed stars and the planets (which included the sun and moon) at nearly its own speed. The inherent motion of the other spheres was supposed to be eastward at much slower rates. In the case of the sun, this speed would have the same proportion to that of the primum mobile as a day has to a year. (34) In the Epistola ad Polycarpum. (35) In the second book of St. Augustine 's De Mirabilibus Sacras Scripturae. The Bishop of Avila referred to was Alfonso Tostado (1400-55), and the reference is to his twenty-second and twenty-fourth questions on the tenth chapter of Joshua. (36) Flavius Josephus (ca. 37- 95), historian of the Jews. (37) Isaiah 38:8. Paul of Burgos (ca. 1350-1435), also known as Paul de Santa Maria , was a Jewish convert to Christianity who became Bishop of Burgos. (38) This and the ensuing quotations from St. Augustine are referred to De Genesi ad literam i, 18 and 19. (39) The book Of the Divine Name, then attributed to Dionysius the disciple of Paul, actually belongs to the late fifth or early sixth century. (42) Thomas de Vio (1468-1534), Bishop of Gaeta, commenting on the Summa Theologica of Thomas Aquinas. (43) Cosme Magalhaens (1553-1624), a Portuguese Jesuit who in 1613 had published a two-volume treatise on the Book of Joshua. (44) From the hymn God, Creator of All, attributed to St. Ambrose. (45) Proverbs 8:26 (Douay). At present the word in question is translated "poles." Discoveries and Opinions of Galileo, edited by Stillman Drake (New York: Anchor-Doubleday, 1957), pp. 173-216. Original Italian text published in Opere di Galileo Galilei, Edizione Nazionale edited by Antonio Favaro (Firenze: Giunti-Barbera, 1968), vol. V, pp. 309-348. Translation and footnotes by Stillman Drake, and confronted with the original Italian source Lettera a Cristina di Lorena, in Opere di Galileo Galilei.